I remember when I first moved to Louisiana I was less than excited about crawfish, let alone this “soupy stuff “they called etouffee. Fast forward a couple of decades later and I am completely immersed in the Louisiana style and culture of foods. However, I could not for the life of me understand why people would want to eat this thing that is also nicknamed a mudbug. That just sounds gross. But hundreds of thousands of people eat them every crawfish season. We have a large Mudbug festival that thousands of people attend. An actual festival where everyone celebrates the little crawfish mudbug. It is actually one of the largest festivals attended in north Louisiana. We also have a National Championship hockey team called the Mudbugs. Seriously. It’s amazing that Louisiana even has a hockey team! Mudbugs are celebrated everywhere here in Louisiana in any form or fashion. One day I decided that there must be something about these creepy creatures that has everyone going crazy over them. I don’t know who it was that decided hundreds of years ago it was a “thing” to eat mudbugs, but it’s a big industry now. I mean a BIG industry. The first time I tasted a mudbug I made sure it was fried. Fried crawfish tails are actually pretty amazing. If you have ever tasted small fried shrimp, this is a similar taste. It took a few more years before I would actually peel and eat a seasoned boiled mudbug. A boiled mudbug has to be shelled and the meat consistency reminds me a little of lobster. They are always highly seasoned and full of flavors and spice. So yay, after several years of living here I finally gave mudbugs a shot. And while I admit I am still not the girl who likes to peel a crawfish, (because that’s just too much work for this girl) I definitely have a love for crawfish etouffee. 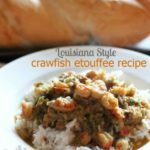 How do I make crawfish etouffee? With time and patience. A good etouffee needs it. 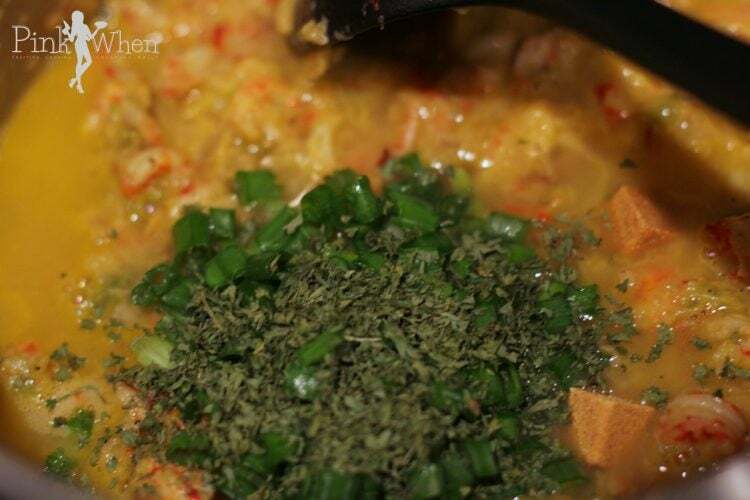 Making a good crawfish etouffee is going to take some time, and it’s going to be well worth it. You have to allow the flavors to meld together. In fact, I love to put my leftovers in the fridge and eat it the next day. It’s usually even better the second day because the flavors have had time to really marry. Make sure you have some time on your hands when starting this recipe. From start to finish it is going to take you all of an hour, or maybe a little more. 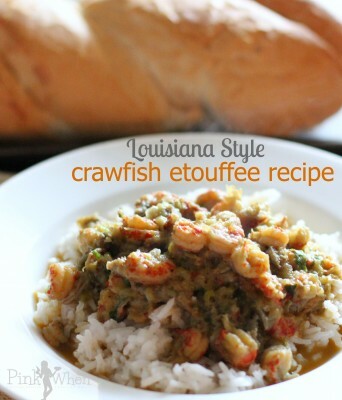 What are the ingredients for crawfish etouffee? You need to have a few things on hand you may not normally have. Here is a quick list of everything you will need to make crawfish etouffee. Now that you have all of the ingredients on hand, it’s time to make this crawfish etouffee recipe. give yourself the good hour you will need. Don’t rush it. I say that last one because this recipe takes time. 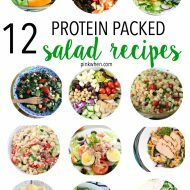 If you’re going to make it and you know you’ll want it again in the next 3 months, make enough for the freezer. One last thing. If you grab your crawfish tails from the seafood freezer department as I do, you want them to NOT be frozen when you use them. I just add a large bowl to my sink and fill it with warm water. Place the entire bag of frozen crawfish tails in the water and allow them to warm up. 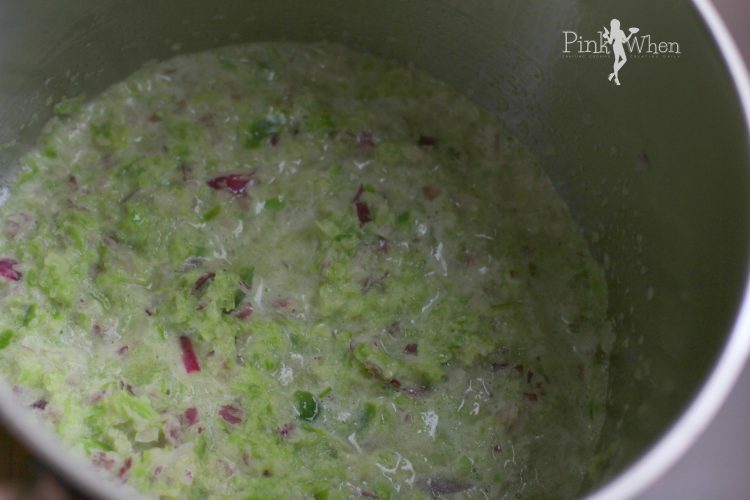 By the time you are finished with step one, they will be ready to add to your recipe. Do you think you’re ready for this? Let’s get started! 1: First, melt your butter in a heavy pan. Sauté the onion, celery, and bell pepper for 30 minutes. 2: Next add the garlic, salt, red, and black pepper. 3: Add Crawfish Tails and sauté for 1 minute. 4. Add flour and then continually stir for 3 minutes. 5: Lastly, add water, bouillon, green onion, and parsley. Simmer for 15 minutes. 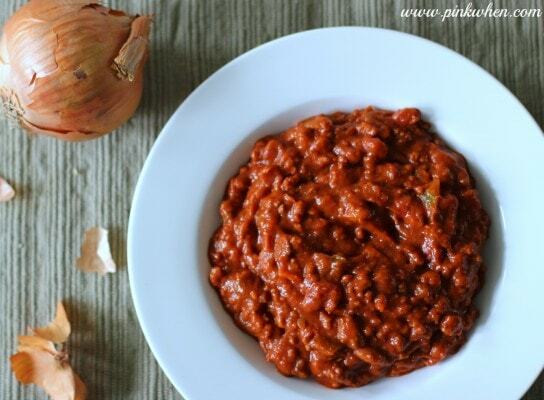 You can serve this dish over rice and with a side of buttered garlic toast. 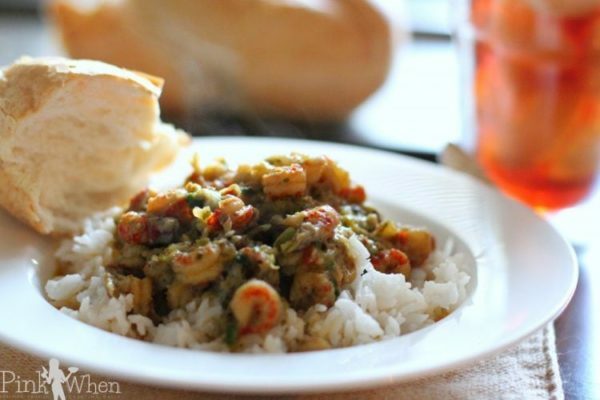 I promise not only will this open your sinus cavities, but it will be the BEST Crawfish Etouffee Recipe that you will ever have. 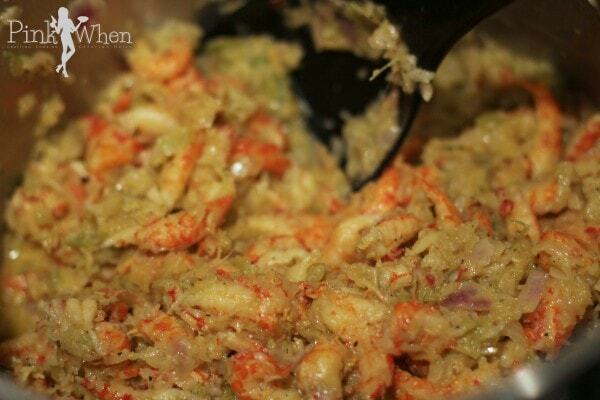 This recipe really helped turn me into a crawfish fan, and I bet it will do the same for you. Looking for another dish that will warm you up? 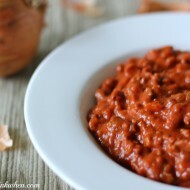 Check out this amazing chili recipe. It’s the best chili ever. Do you like crawfish? Ever wondered how to boil your own crawfish? 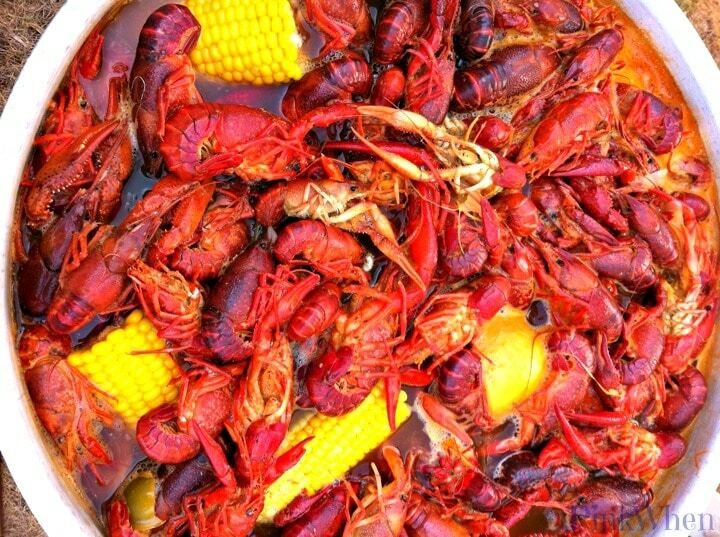 Check out this post below on how to do a crawfish boil! Learn how to make a true Louisiana style crawfish etouffee recipe. Melt the butter in a large saucepan. Saute the onion, celery, and bell pepper for 30 minutes. Add garlic, salt, red, and black pepper. Add crawfish tails and saute for 1 minute. Add flour and stir. Cook for 3 minutes. Add water, bouillon, green onion, and parsley. Simmer for 15 minutes. Serve over rice and with a fresh loaf of french bread. 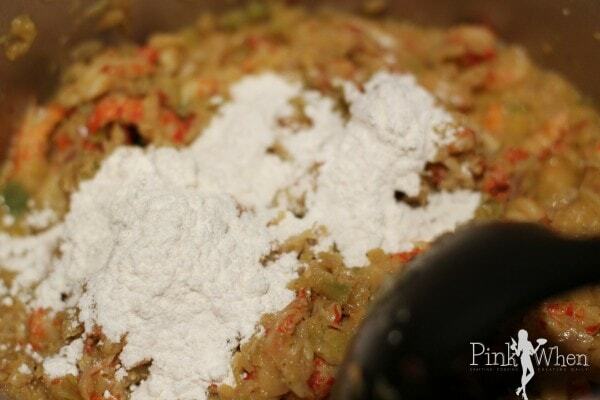 Crawfish Etouffee can be made with freshly peeled crawfish tails or frozen crawfish tails. Consider using fresh crawfish tails if they are in season and easily available. You have me drooling, Jen!! That looks absolutely fantastic and I know it’s something my hubby would love. 🙂 Thanks for sharing the recipe, I’m going to have to add this on my list of recipes to try. Thanks Felicia! I hope you give it a try. Being from the great state of Louisiana, I love my Cajun/Creole food. I take it very serious to say the least. I like your recipe. Have you been to Louisiana? If not I hope you get to go and eat some of our very unique foods and flavors. I made boudin last night and I miss my home state. I am going back soon. Thanks to your recipe it reminds me of how much I miss the food as it is different from anywhere else. Have a great week! So sorry, I finally found your about me. You must live up around Shreveport, La. I still like your recipe and now you know why it made me feel so homesick, thanks for sharing. I have even contacted your Web designer and hope to get some help with mine. So nice to meet you! I don’t feel like you are originally from Louisiana? I guess I am from the extreme Southern Louisiana, I lived in Creole for a long time and lived in New Orleans on the Lakefront until I moved to NC, and hopefully will be back home before the spring gets here. Hopefully can stay in touch. Hi Bea, I am not originally from Louisiana….but I have been in Louisiana for more than 25 years. It’s home, and has been home since my father retired from the military when I was a teenager long ago. I am so glad you stopped in and I hope you get a chance to make the etouffee! This looks delicious! I have not had crawfish in years, but the last time I had them I really liked them. I never see them here. Do you think I could sub shrimp? I totally would sub shrimp for this as well. It’s just amazingly good! I don’t know if I am a true southern girl because I do not do crawfish, but you make it look pretty good Jen! Maybe I should make this for Valentine’s Day Supper. Where does the heat come from? Do you like to add any other seasonings or does that kill the delicate flavour of the crawfish? TY! It’s not “spicy” hot, but it has a perfect flavoring. 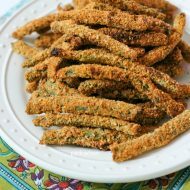 When I make it, I add the pepper and garlic salt to my taste, which is why I don’t give a specific amount. The crawfish tails already have a little flavor from the crab oil used to cook them in, and I am not sure I would add anything else. I think this would be a PERFECT Valentine’s dinner. You will have to let me know what you think after you make it! It’s one of my all time favorite dishes to make. I have been making it for about 20 years!